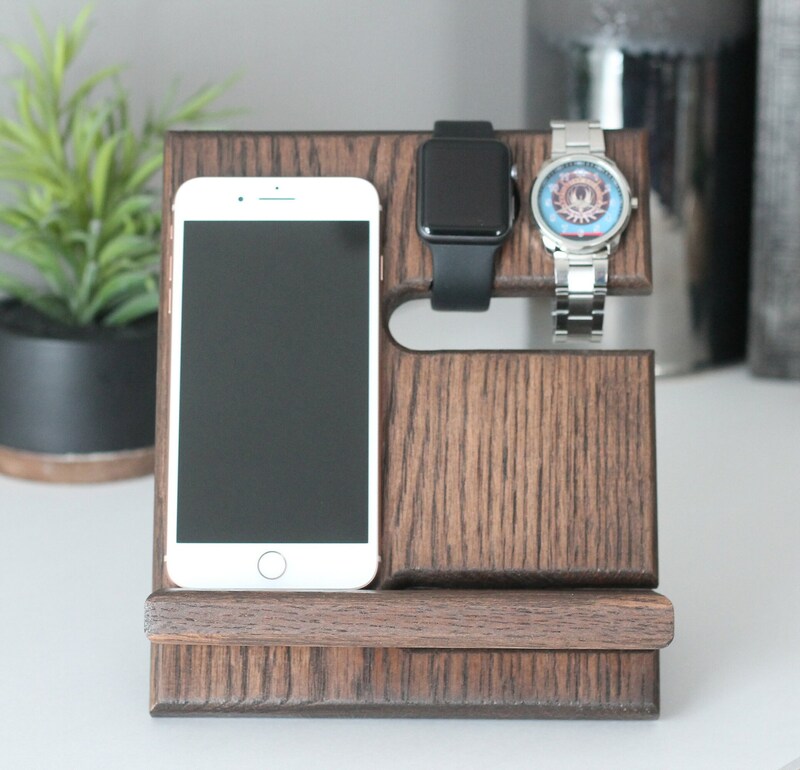 This valet is made for a phone and an Apple Watch only, charging on the front. 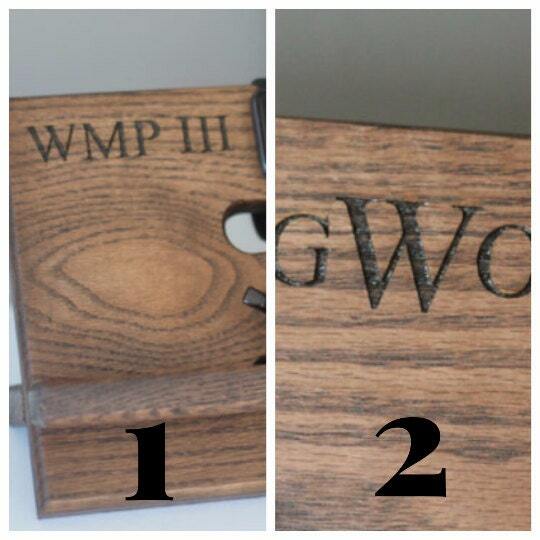 Choose your engraving behind the phone, or on the blank spot below the watch. 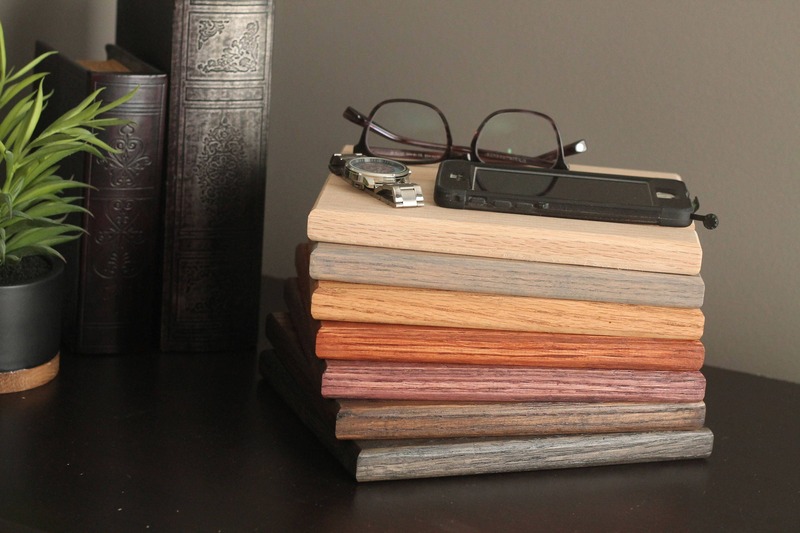 Add location to the notes at checkout with what you’d like engraved! We also offer a valet without a section for watches, so you are able to keep a tablet and a phone on it. 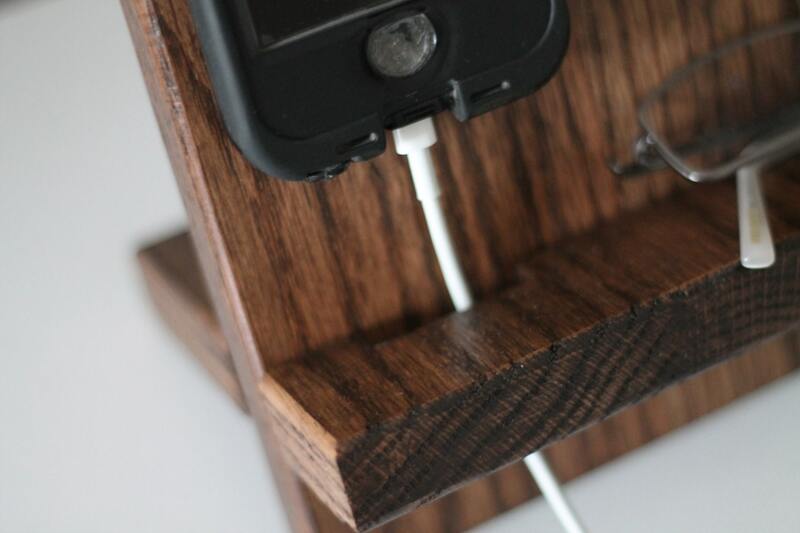 Under the section for watches, there is a shelf for jewelry, glasses, pens, chapstick, or whatever you want! 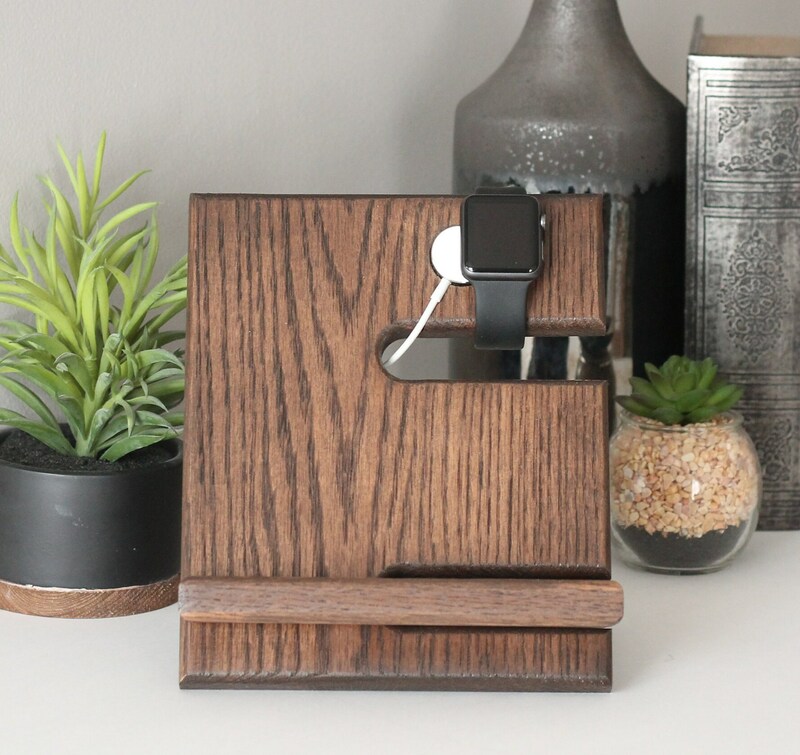 LOCATION: Choose your engraving behind the phone, or on the blank spot below the watch. 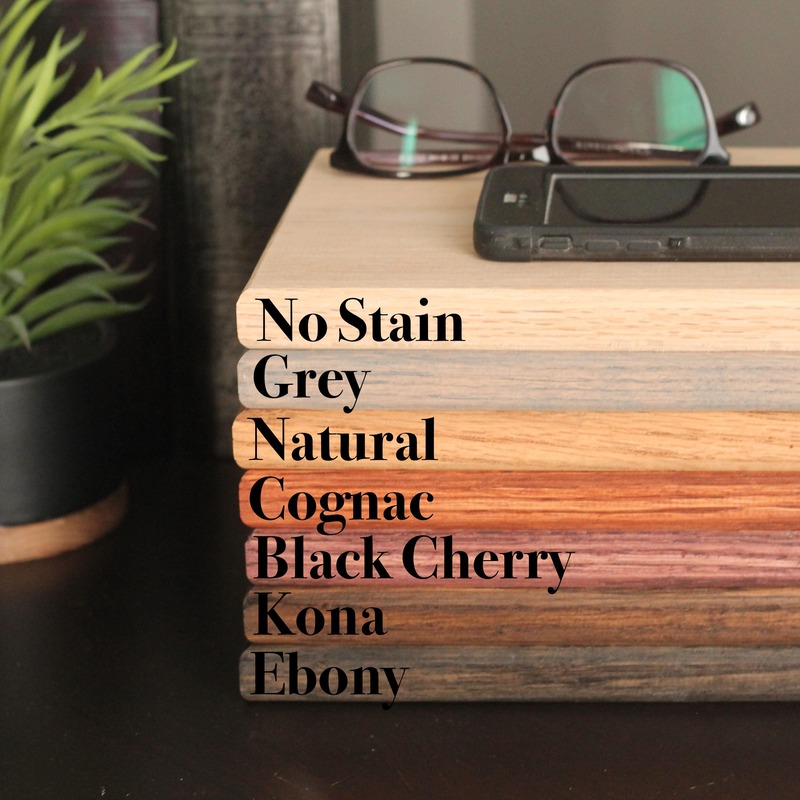 Add location to the notes at checkout with what you’d like engraved! Ordered this personalized for a Christmas gift. The personalization was perfect & received it quickly.